The Volta a Catalunya hits the hills, but all eyes are on the cobbles of the Northern Classics. Results and video from Spain and Brugge-De Panne. Don't descend like Niccolò - Top Story. 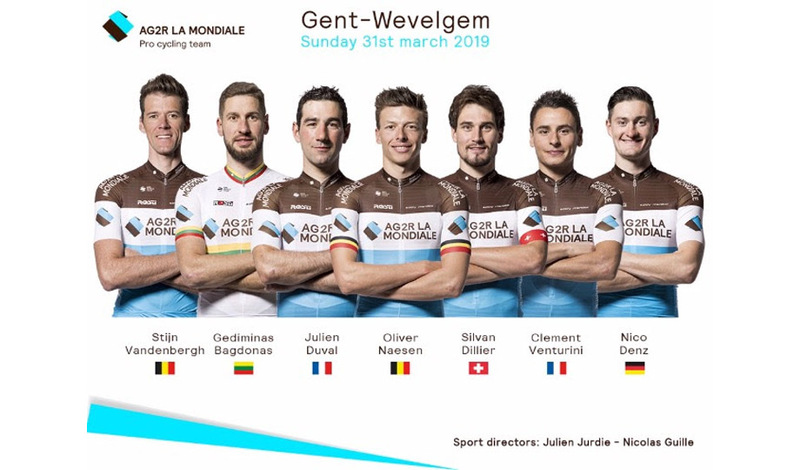 The teams preview Sunday's Gent-Wevelgem, European Championships in Alkmaar, Giro di Sicilia back, Critérium du Dauphiné off road, Tour de Yorkshire teams, Giro d'Italia jerseys, Yoann Offredo update and Specialized official sponsor of Paris-Roubaix. All the cycling news you need for the weekend! Direct Energie's Niccolò Bonifazio animated Sunday's Milan-Sanremo with his dare-devil descent of the Cipressa. He gained time on the peloton and nearly caught a moto, but was scooped up by the peloton before the final climb of the Poggio. In the end the 25 year old Italian finished 131st in La Primavera. A few days after Bonifazio rolled up the finish straight on the via Roma, he looks at his performance with a different perspective. "Be careful! Don't risk your life with something so stupid!" Bonifazio advises other cyclists not to do the same; "I'm relatively worried now," he said in his statement on Facebook. "Hi everyone, after a couple of days and with a cool head and seeing what and how it moved on the web I'm relatively worried. I have come to know of people who launch themselves from the Cipressa in training to try to "imitate"  !! I remind these geniuses that the traffic is open! You do not risk your life for such nonsense!! I would try to imitate the deeds of those who had the legs to climb the hill and win the race!!!! I did not publish the data on the race on the Strava, because I had already realized that things like this could happen and I avoided it. However, the record of the Cipressa descent has not been made. The record was made by the undersigned on March 17th 2017, WELL far from the image you have seen, and this is not a Bluff, and if you fall off in some way you have to try to come back, really risking the impossible. So before you try to beat or do anything stupid, realize the risks that these deeds carry." 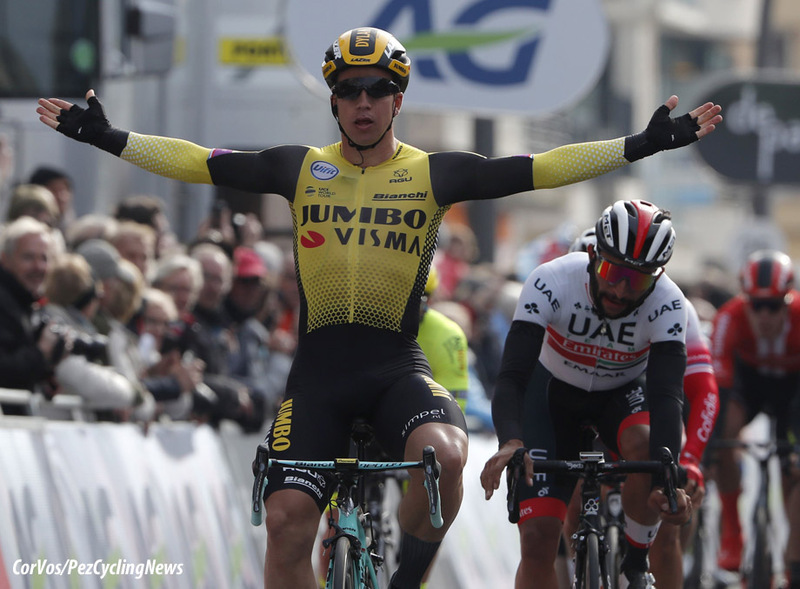 The 43rd edition of the Brugge-De Panne - now a WorldTour event after being reduced to a day - was won by Jumbo-Visma's Dylan Groenewegen, who was by far the fastest finisher. The 200 kilometer race from Brugge to De Panne had six stretches of pavé, and included the Kemmelberg. The former Dutch champion came from seventh place to beat Bouhanni, Viviani and Gaviria to the line. The Jumbo rider had enough time to take his hands off the handlebars and freewheel over the line. Jasha Sütterlin (Movistar), Jimmy Janssens (Corendon Circus), Stan Dewulf (Lotto Soudal), Adrien Garel (Vital Concept-B&B Hotels), Senne Leysen (Roompot-Charles) and Mathijs Paasschens (Wallonie Bruxelles) made the break of the day. Behind; Theuns, Gaviria, Van Poppel, Pöstlberger and Haller tried a move on the cobbles of the Kemmelberg, but it came to nothing. The Deceuninck - Quick-Step team finished the hopes of escapees with less than 10 kilometers to go. Mørkøv gave Viviani a good lead-out, but Gaviria jumped on the other side of the road with Groenewegen on his wheel. The Dutchman fairly easily took his fifth victory of the year and the 43rd of his career. More photos and full PEZ Race Report HERE. Race winner, Dylan Groenewegen (Jumbo-Visma): "The team did a good job all day. And I am happy for the entire team that I was able to finish it off. In the technical final it was tough to hold positions and it was difficult to stay together as a team. We already had to do a sprint before the last corner. I was a bit boxed in, but my teammates solved that issue very well. I am happy that I have been able to reward them. This victory feels very good, because I have defeated some of the best sprinters here." 2nd, Fernando Gaviria (UAE Team Emirates): "I’m sorry because I wanted to win. The sprint was complicated with a few curves and narrow roads. At seven kilometers from the finish, there was a crash that caused us to lose Bohli and we used energy to return to the front part of the group. In the final, Ferrari worked amazing well to take me into position for the last kilometer. Then I did my sprint, but Groenewegen was on my wheel and was able to pass me. Now I’m going to try to recover ahead of Harelbeke and above all, Gent-Wevelgem." 3rd, Elia Viviani (Deceuninck - Quick-Step): "The plan was to control the race and the boys did just that, so a big thanks is in order. Unfortunately, we lost Florian before the finish in that incident and that meant that we had to change the plan, so Bob took a really long pull as we entered in the last kilometer. Michael did a perfect lead-out and I sprinted in the last 175 meters, but two other guys were faster today. Still, a podium in a World Tour race is not bad and this result shows that the legs are there for Sunday’s Gent-Wevelgem." 8th, Luka Mezgec (Mitchelton-Scott): "I did really well with the positioning myself in the final, but unfortunately the pace slowed down at 500m to go, and that allowed other sprinters with lead-out guys to come back and I ended up boxed in. As a team we rode well during the day, at all important points we were well positioned. The wind wasn’t a factor today, but the course was sketchy and there were crashes happening all the time. Overall I am happy with my positioning in the final, but not so happy with the result." 10. Mike Teunissen (Ned) Jumbo-Visma. 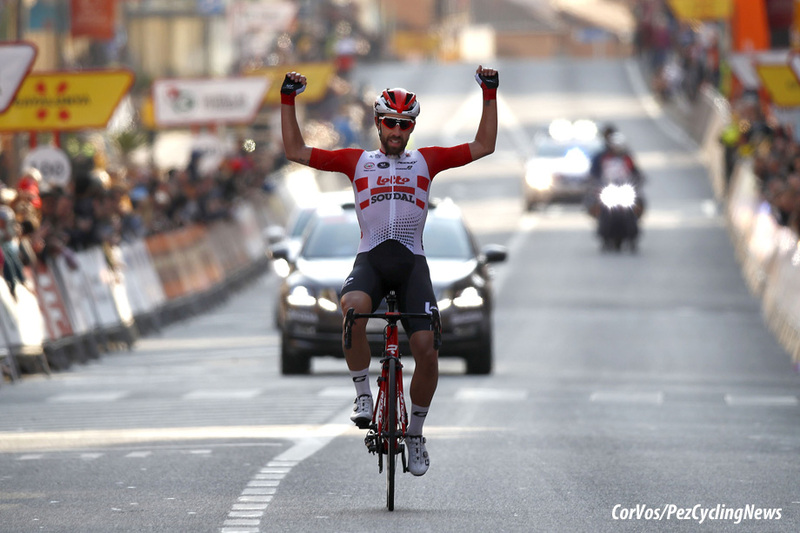 Thomas De Gendt (Lotto Soudal) won the opening Stage 1 of the Tour of Catalonia solo by over 2 minutes on Monday. Lotto Soudal's attacker went away with the break of the day and then took his chance on the penultimate climb. The peloton only saw the Belgian after the finish when he was on the podium at the finish in Calella. Six escapees formed the group of the day, with the Belgian Thomas De Gendt and Dutchman Huub Duyn, along with Alvaro Cuadros, Alexis Gougeard, Angel Madrazo and Luis Angel Maté. The lead was no greater than five minutes. On the double climb Alt El Muntanya-Coll Formic, De Gendt took off solo. He also took all the KOM points on both Cat 1 climbs. From the top of the Formic there was still 54 kilometers to go to the finish, mostly downhill. De Gendt crossed the summit 3 minutes ahead of the chasing peloton with Maté between at 1:10. De Gendt succeeded, Maté was caught. Many of the sprinters had been dropped on the climb and so the peloton eased off, allowing De Gendt to extended his lead to 4:30. Euskadi-Murias, Arkéa-Samsic and Sunweb led the failed chase. On the last climb of the day, the Cat 3 Port de Collsacreu, De Gendt still had a 4 minute lead as he headed towards the finish in Calella. In the final kilometers there was some disagreement in the peloton about who should chase, in the confusion Maximilian Schachmann (Bora-Hansgrohe) attacked to take second place, 2:30 down on De Gendt. Grega Bole (Bahrain-Merida) won the sprint for third place. Alejandro Valverde (Movistar) and Egan Bernal (Sky) have shown their interest in the GC as they took two and one bonus seconds during the stage. Stage winner and overall leader, Thomas De Gendt (Lotto Soudal): "I absolutely wanted to be in the breakaway today to aim for the stage win. I tried to take the mountains jersey as well, but I did not want to waste too much energy on this. The peloton quickly brought down our bonus to two minutes, but I did not panic. The hardest part was yet to come, being a short and steep hill. I was riding at a very high pace there, hoping the strongest would survive, but only Luis Maté was able to follow. However, he could not take the lead anymore and he just stayed in my wheel until the next hill, the Coll Formic. Because I knew Maté really was at his limit, I attacked again and he had to let go. From there on I was on my own, but I knew the descent very well due to my experience from the previous editions. I knew what was ahead of me, thus I could anticipate with my watts. Some parts I did at a higher pace than others. It was to my advantage that I have covered the final 40 kilometers already seven times. Each year during the weeks of Paris-Nice and the Volta a Catalunya, I am in great shape. I always look forward to this period. In Paris-Nice my shape went only upwards, so I felt excellent. Because of the calm week that followed, I presumed to perform even better in Catalonia. On the first day, there is no GC leader yet, so then it is difficult to find a team willing to lead the chase. For the sprinters it was a bit too tough today and I responded well to that. On top of that, I think the GC riders will not care too much about me. The two uphill finishes could make me lose fifteen minutes, so it does not really matter that I am two minutes ahead now. Tomorrow I should keep the leader’s jersey, but I suppose I will not be able to follow the top riders on the next day." 2nd on the stage and overall, Maximilian Schachmann (Bora-Hansgrohe): "When we caught the chasing group, the pace dropped, and I thought that I should give it a try. I just wanted to achieve the best possible result for our team and gain some seconds for the upcoming days. At the end of the day I finished second and lead the best young rider classification, therefore I am happy with my attack." 3rd on the stage and overall, Grega Bole (Bahrain-Merida): "It was a super hard stage, but I felt very well during all the race and also on the climbs. In the end I was still feeling really good and I managed to take the sprint for the third place. For sure if I had caught the breakaway, I could have had more chances to take a better result." 10. Lukasz Owsian (Pol) CCC. 10. Daryl Impey (RSA) Mitchelton-Scott. 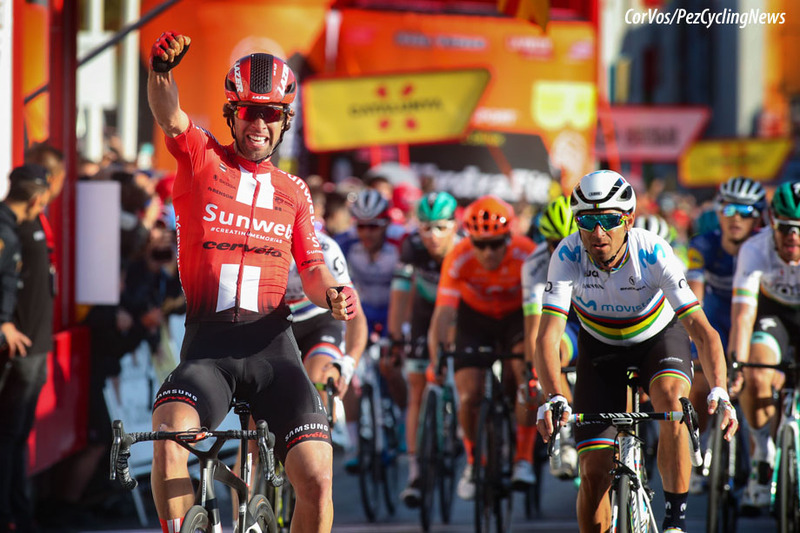 Michael Matthews (Sunweb) held off World champion Alejandro Valverde (Movistar) in the sprint to win Stage 2 of the Tour of Catalunya. Daryl Impey (Mitchelton-Scott) finished third as Thomas De Gendt (Lotto Soudal) retained the leader's jersey. What was billed as a sprinters stage to Sant Feliu de Guíxols, but still had 2,195 meters of climbing, with three Cat 3s to cross. The top of the final climb was 25 kilometers from the finish. Marco Minnaard, Josef Cerný and Jonas Gregaard escaped and managed to take a maximum lead of 6 minutes. Minnaard took the KOM points on the climbs, but would not be enough to take the jersey. With 40 kilometers to go the lead was down to 2 minutes. At this point there was a big crash in the peloton, the most famous victim was Sky's Chris Froome. The four-time Tour winner was quickly back on the bike, but had injured his right side. The speed at the moment of his crash meant that he would not regain the front of the race and so lost 14 minutes and any chance in the overall. The break started the last climb of the day, the Alt de Romanya, but were caught before the summit by the peloton. Overall and KOM leader, De Gendt jumped just before the summit to strengthen his position in the mountain classification. Eight kilometers out there was an intermediate sprint and it was Valverde who took it a few bonus seconds, ahead of Nairo Quintana and Steven Kruijswijk. Maximilian Schachmann finished second on Monday, and also tried the same trick today. This time, however, the Bora-Hansgrohe rider was not given a chance. On the uphill finish Michael Matthews had the power to take the stage win and move to third overall. Stage winner and 3rd overall, Michael Matthews (Sunweb): "Coming into the final kilometers I was able to move up to the front on the downhill and flat before the climb to the finish. I positioned myself near Valverde as I thought he was the favorite for the day. I timed my sprint really well, starting with 150 meters to go and managed to hold everyone off. The team rode really well from the start, we were always in control of the race and never let it get out of hand and came out with the win. I’m happy to get the win for them." 2nd on the stage and overall, Alejandro Valverde (Movistar): "It was a very dangerous, twisty finale. In the first passage through the line, into a small descent before the final kilometer and the last straight, there was a crash with Froome and a Bora rider. I was riding just behind Froome, and even if I didn’t touch either him or the Bora rider, the latter’s bike hit my left hand and caused me a small cut, which hurts quite a bit. But happily, and leaving that incident aside, it’s a day to be happy about. We took bonus seconds at the intermediate sprint, both Nairo second and myself first, then I could contest the finish and take 2nd place. My body is reacting well to the recent efforts and the team is working perfectly, so let’s see what we can do in Vallter tomorrow." 4th on the stage and overall, Maximilian Schachmann (Bora-Hansgrohe): "We went into today’s stage to work for Jay, but after his crashed the plan changed. The final lap was like some Classics race parcours, which normally suits me well. Therefore, I wanted to try something and went on the attack shortly before the finish. But the teams were too strong, so I pulled back. In the finale, I tried it again, however Matthews was the fastest today." 10. Daniel Martin (Irl) UAE Team Emirates. 10. Patrick Bevin (NZ) CCC at 2:58. 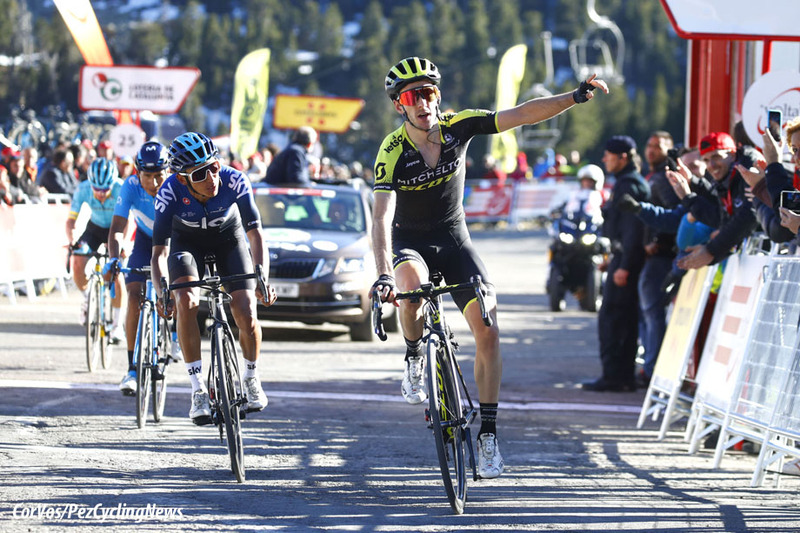 Adam Yates (Mitchelton-Scott) won the mountain Stage 3 to Vallter 2000 of the Tour of Catalonia on Wednesday. The British rider decided the stage by jumping his four co-front finishers in the final kilometer. Thomas De Gendt (Lotto Soudal) kept his leader's jersey. A group of eleven riders escaped early in the stage: Pieter Weening and Maurits Lammertink (Roompot-Charles), Bert-Jan Lindeman (Jumbo-Visma), Dries Devenyns (Deceuninck - Quick-Step), Bart De Clercq (Wanty-Gobert), François Bidard (AG2R-La Mondiale), Lennard Kämna (Sunweb), Óscar Cabedo (Burgos-BH), Sergio Samitier (Euskadi Basque Country-Murias), Álvaro Cuadros (Caja Rural-Seguros RGA) and Anthony Delaplace (Arkea-Samsic). They managed to take a lead of 6 minutes. Cuadros took the KOM points to move closer to classification leader; Thomas De Gendt. Kämna, Cabedo, Delaplace and Lammertink were dropped as the Sky train took charge on the final climb and get closer to the leaders. Overall leader, De Gendt, ran into problems and had to let the others go. At the front; Weening tried to go on his own, but was caught 6 kilometers before the finish by a thinned peloton. With five kilometers to go; Colombians Nairo Quintana (Movistar) and Egan Bernal (Sky) attacked together, Yates jumped across to them. Miguel Ángel López (Astana) and Dan Martin (UAE Team Emirates) also managed to get across. The five would sprint for the win. Yates was the fastest and Bernal had to settle for second place, ahead of Martin. De Gendt lost time, but held his overall lead by 27 seconds over Yates. Stage winner and 2nd overall, Adam Yates (Mitchelton-Scott): "Last week I showed that I was in good condition, I came up short there and I really wanted to win today. On the climb Bernal and Quintana were really strong, when they attacked I held back a little bit just to pace my effort and slowly, slowly came back to them. Then it was a bit of a game. Quintana didn’t really want to work and in the end it was a sprint with 200 meters to go and I managed to finish it off. Tomorrow we have another tough stage and another possibly for a stage win but we will see. So far so good, the team did a super job to look after me, so more of the same tomorrow hopefully." Overall leader, Thomas De Gendt (Lotto Soudal): "We did not have to control the race today. The finale was really tough and teams like Movistar, Team Sky and Mitchelton-Scott always ride for the victory. We just took our responsibility today as Sander Armée kept the breakaway in check and once Movistar started to ride on the first hard ascent, we did not have to ride at the front anymore. The plan was to ride at my own pace on the final climb. When Team Sky upped the pace, I let go and tried to maintain a hard but feasible wattage until the summit. I just know that once I would go over my limit, it would be over. I just gave my everything today and eventually, that turned out to be enough. The help of Bjorg Lambrecht on the final climb was very important. He did not have to wait for me, but as he was just in front of me, it was ideal as I got a target. Before that, Jelle Vanendert kept me well-positioned and also Rémy, Maxime and Harm did a great job protecting me all day long. That way, I could save a lot of energy for the final climb. I know that I can’t compete with the real climbers but when I can start a climb the way I did today, I knew it would just be enough to keep the leader’s jersey. I knew that if I would ride full gas, I would not lose three minutes." 2nd on the stage and 3rd overall, Egan Bernal (Sky): "The most important thing is to try and do our best and then see how far it could bring us. We took some time on Valverde today, but in the first group there are still some really good riders like Nairo, Yates, Dan Martin - so of course it''s going to be difficult, but we will try. Tomorrow is another hard and important stage and we then we will try to attack again." 3rd on the stage and 4th overall, Dan Martin (UAE Team Emirates): "The pace on the final climb was high, we were going quickly up until the start of the climb, so the work of my team-mates was even more important. They kept me in great position. I had good feelings, I tried to go at my pace and it allowed me to return to the front in the last kilometers. When I returned, I tired to play my cards in the sprint, keeping sure that I was at the front in the last two curves, above all in the last turn at 200 meters to the line. Unfortunately, this curve was a little narrower than I expected and I had to take the inside line, I had to slow down and this favored Yates, and he had fresher legs. Third place is great. I would’ve preferred to win. I’ll try again tomorrow." 4th on the stage and 5th overall, Nairo Quintana (Movistar): "I was able to find again some good legs today. I tried to remain with the top climbers, I was able to finish into that leading group, so this results reassures we’re still building a good form and preparing ourselves well for what’s to come. I hope to keep drawing good conclusions from this Volta. Let’s see how today’s effort takes its toll on everyone at tomorrow’s climbs, and what we can try tomorrow together with my team-mates. Alejandro already warned us during the stage that he would go easier on the climb, that it was up to us to go chase a result because he felt like he wouldn’t be up there in the finale." 5th on the stage and 6th overall, Miguel Angel Lopez (Astana): "I can’t say I am here at 100% of my form. I am still on the way to be in top shape. So, today I missed a bit in the beginning of the climb, but later I was able to come back in front, catching the leaders. Honestly, I suffered a bit from the cold on the last climb since at the top there was just 3oC. But, however, I’ve managed to do this stage on a good level, finishing with the other favorites. Another hard days is waiting for us tomorrow, so, let’s see." Rafal Majka (Bora-Hansgrohe): "It was a hard stage today. The final climb had an average gradient of 7,6 %. The team worked well to bring me in a good position, but as Team Sky increased the pace, the race fell apart and it was not easy to follow them. I finished inside the top 20 but it was a really tough fight today." 10. Michael Woods (Can) EF Education First at 0:53. 10. Wilco Kelderman (Ned) Sunweb at 1:28. 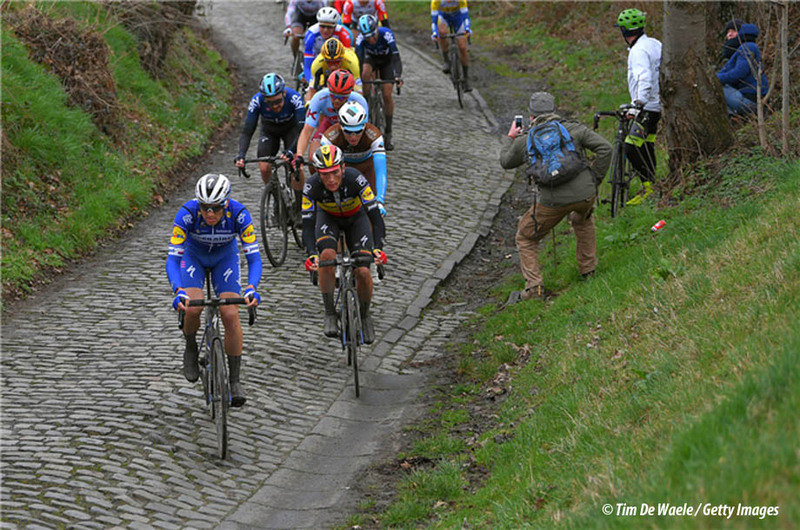 This Sunday the WorldTour peloton hits the cobbles and steep climbs between Gent and Wevelgem. Always a hard fought race, plus a good guide to who will win the Tour of Flanders and Paris-Roubaix. See the PEZ Gent-Wevelgem Race Preview HERE. More team announcements will be added as they come in. The jarring cobblestones of northern Europe, which for more than a century have fascinated riders and fans alike, will be in the spotlight over the next three weeks, when a total of six races will make or break the season of many riders. Half of these events are scheduled this week in Flanders, the heartland of cycling, and promise to deliver again the thrill, excitement and spectacle that have made them the pinnacle of the spring season. Gent-Wevelgem isn’t just one of the oldest cobbled classics, at 251.5 kilometers it’s also one of the longest, taking the bunch over some ruthless dirt roads and a total of ten hills, from which the Kemmelberg – set to be tackled twice – stands out. At the second ascent, Kemmelberg could prove to be the pivotal point of the race, be it with its 23% maximum gradients or with the tricky and narrow descent that follows, which can decisively split the peloton despite featuring with more than 30 kilometers left. Philippe Gilbert, Fabio Jakobsen, Iljo Keisse, Yves Lampaert, Maximiliano Richeze, Zdenek Stybar and Elia Viviani will be on Deceuninck – Quick-Step’s squad for the final one-day race of March, which favors both the sprinters and the attackers. "Because it can go both ways, Gent-Wevelgem is one of the most beautiful one-day races of the entire spring. It all depends on the wind, on the plugstreets, and of course, on what happens on the Kemmelberg. We have riders who can go for the win in case the race gets fragmented – everyone knows who they are – but also Elia if it comes down to a bunch sprint. He was runner-up last year, knows the race, has Richeze to lead him out and is a real fighter, always ready to bounce back, so we are going to the start line confident regardless of what Sunday’s scenario might be," concluded Tom Steels. Philippe Gilbert (BEL), Fabio Jakobsen (NED), Iljo Keisse (BEL), Yves Lampaert (BEL), Maximiliano Richeze (ARG), Zdenek Stybar (CZE), Elia Viviani (ITA). Sports Director: Wilfried Peeters (BEL) and Tom Steels (BEL). Kristoff, Gaviria and Philipsen lead the Emirati team in the north. 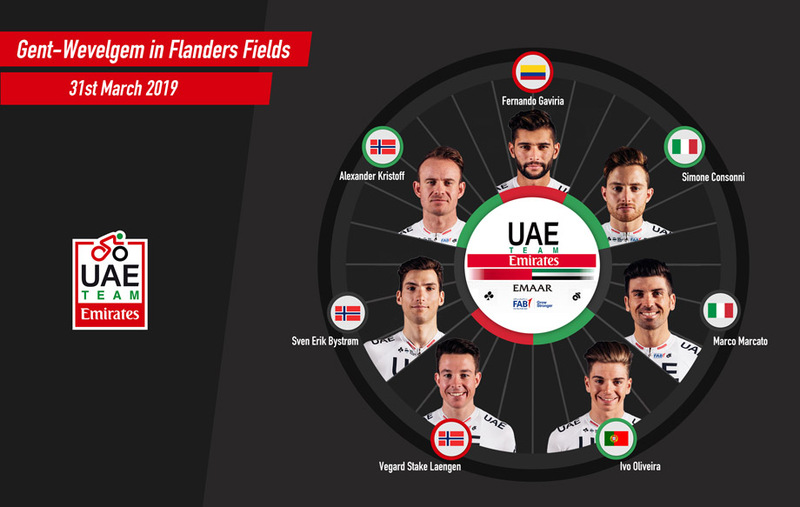 UAE Team Emirates faces Gent-Wevelgem on March 31. Sports Director Allan Peiper (Aus) will direct the team over the week’s events. Alexander Kristoff: "I’m arriving with my condition and health better than last year, so I hope to be able to be more competitive. The team is reinforced for these races, so the signs are looking good." Fernando Gaviria: "I’m racing in Belgium with enthusiasm and an eye on the races like a student in cycling school with a lot of desire to take it all in. I’d like to gain experience, learn from the directors and my team-mates and get a good idea of what level is in these types of races." Marc Reef - Team Sunweb coach: "Gent Wevelgem is a race that has a lot of elements to it. We pass the Moeren where the wind can play a role; there are three sections of Plugstreets; and the Kemmelberg is completed twice too. The last passage of the Kemmelberg comes with only 35 kilometers remaining and will shape the race, as always. Søren will be our leader and we hope to put him into a good position coming onto the last ascent of the Kemmelberg where the final begins." Asbjørn Kragh Andersen (DEN), Søren Kragh Andersen (DEN), Cees Bol (NED), Roy Curvers (NED), Casper Pedersen (DEN), Florian Stork (GER), Max Walscheid (GER). Silvan Dillier: "My crash at Tirreno-Adriatico was no big deal. All is well and I am ready to return to the cobbled classics! When I see Oliver taking second place in Milan San-Remo, it just makes me want to relive those moments again in Belgium! And most importantly, it can trigger a positive momentum for the entire team. The E3 is really a great race, a kind of mini Tour of Flanders. Aside from the monuments, I think it's one of the most beautiful races during the entire spring. All winter, I prepare for this period of racing. The preparation is finished, and now I'm ready; the whole team is super motivated. Now off to Belgium!" Sports Director Fabio Baldato said the tough block of racing in Italy from Strade Bianche through to Milan - San Remo was the ideal preparation for the team that will support Van Avermaet. It’s already time for Belgium classics. 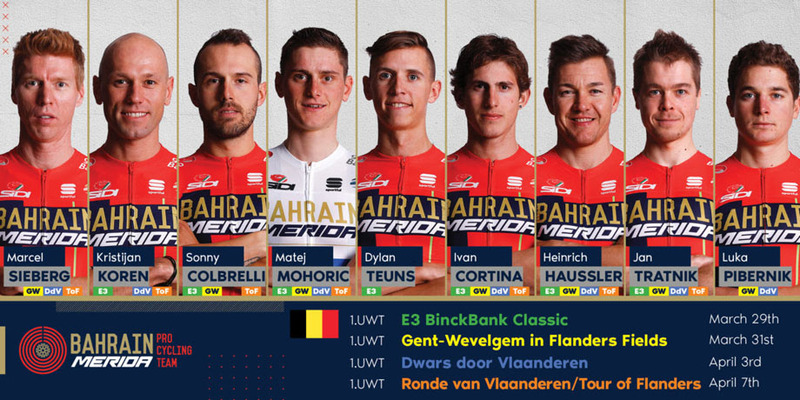 On Friday the team will be in Harelbeke for the E3 Binckbank Classic (204km) also called the mini "Ronde van Vlaanderen", while on Sunday it is the turn of the 81st Gent-Wevelgem (251km) with the peloton that will have to face 10 fearsome walls including the Patersberg and the Oude Kwaremont. "We have a good team for both races" - explains SD Tristan Hoffman - "with two leaders Sonny Colbrelli and Matej Mohoric and great quality riders such as Ivan Cortina and Dylan Teuns. The experience of riders like Haussler, Koren and Sieberg will be a great help for our boys." After finishing 5th in Sanremo last Saturday, Mohoric made his debut in the Flemish classics: "It's my first time and I'm very happy to race on roads that are so important for cycling. My condition is growing day by day and I expect to be competitive both at Harelbeke and next Sunday. The Milan-Sanremo gave me the directions I was looking for and I hope to achieve a good result." Happy to return to Belgium, Colbrelli prepared himself carefully for his North campaign: "The E3 route is the one that best suits my characteristics, while the Gent-Wevelgem is perhaps more suited to sprinters. I was not very lucky a month ago in Belgium and I hope to make up for it and find the perfect day-"
Sonny Colbrelli, Matej Mohoric, Heinrich Haussler, Ivan Cortina, Jan Tratnik, Dylan Teuns and Kristijan Koren. Sonny Colbrelli, Matej Mohoric, Heinrich Haussler, Ivan Cortina, Jan Tratnik, Luka Pibernik and Marcel Sieberg. 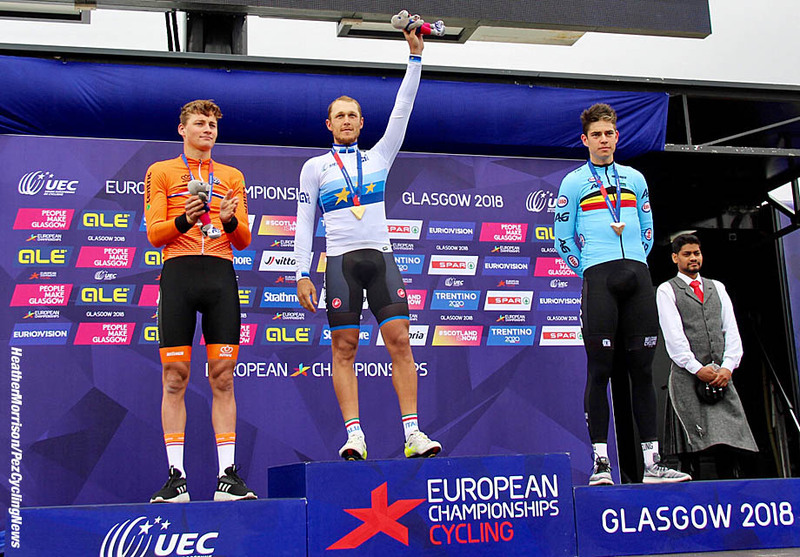 Rocco Cattaneo, President of the Union Européenne de Cyclisme: "The Road European Championships is an important event in which 800 athletes from 50 countries will be competing and will have extensive media coverage thanks to the agreement between the UEC and Eurovision. We are especially pleased that this next edition is being held in the Netherlands because when sport is mentioned in this country, it is above all cycling that is talked about. This is why we are certain that we will experience a high level event from 7 to 11 August not just in sporting terms but also thanks to the great passion of the Dutch people for our sport. I would like to thank the Dutch Cycling Federation, its President Marcel Wintels, the City of Alkmaar and its Mayor Piet Bruinooge as well as the organizers that have worked with skill and devotion to stage one of the most important events on the international calendar." Vice mayor Pieter Dijkman is very pleased that the championships are coming to Alkmaar: "It is a very attractive sports event. The championships encourage cycling in Alkmaar and are great for the Netherlands. It will stimulate the regional economy as well. I call on the people of Alkmaar and the surrounding municipalities to make this a joyful event, together with the European Cycling Association and all volunteers." All technical information about the races will be published in the next days on the website www.uec.ch. The Sicilian Region and RCS Sport have signed a three-year deal that includes Il Giro di Sicilia, three stages of the 2020 Giro d’Italia and the Corsa Rosa’s Big Start in 2021. 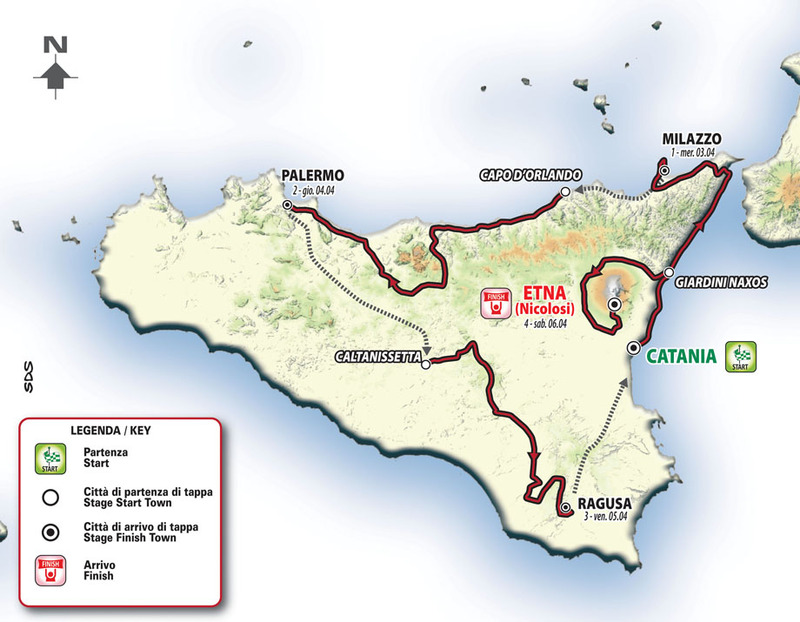 The stage race will be held from 3 to 6 April on the Italian island: four stages including a grand finale on Mount Etna. Rai will be the race Host Broadcaster, with two hours live every day. Broadcast will be in around 100 countries. Professional cycling returns to its roots, with the four-stage race from 3 to 6 April, starting from Catania and finishing in Milazzo, Palermo, Ragusa and, on the final stage, the ascent to the top of Mount Etna, climbed from the classic Nicolosi side. The other Stage Start locations will be Capo d’Orlando, Caltanissetta and Giardini Naxos. After 42 years since its last edition, Il Giro di Sicilia returns in style: a stage race on the island at the heart of great cycling. Thanks to a three-year deal between the Sicilian Region and RCS Sport, the island will see not only Il Giro di Sicilia's return, but also three Giro d’Italia stages in 2020 and the Corsa Rosa’s Big Start in 2021. 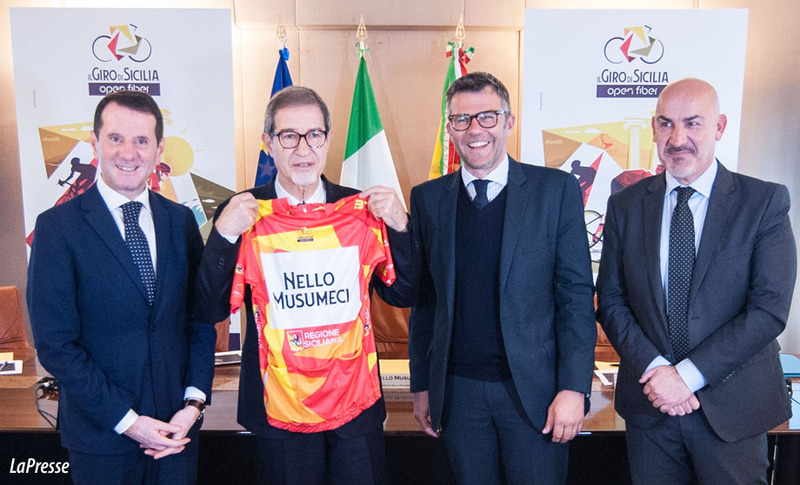 Nello Musumeci, President of the Sicilian Region, said: "Bringing a prestigious cycling competition like Il Giro di Sicilia back to the Island, after 42 years, fills us with pride. An initiative that, as well as putting us under the sport's spotlights, strengthens the image of a Region that is finally starting to return to general attention in every sector, including that of competitive sport. The three-year agreement signed by my Government with RCS Sport goes in this direction and will ensure strong visibility and an important impact in terms of tourism." "In addition to Il Giro di Sicilia, in fact, the island will once again be the protagonist of the Giro d'Italia, with some stages already next year. In 2021, instead, with the Corsa Rosa starting right from Sicily, we will receive the attention of millions of fans of the noble art of pedaling. To them, beyond the excitement of the competition, we can offer unique and exciting routes and a panorama that, I am sure, will not go unnoticed and that will prove to be a worthy setting for such a glorious event." Paolo Bellino, RCS Sport CEO, said: "We’ve done great teamwork over a long period with the Sicilian Region to be able to announce this three-year deal today. This project has a precise strategy: returning Il Giro di Sicilia to its former glory and holding the Giro d’Italia here in Sicily over the next few years. The island of Sicily is extraordinary, as are its inhabitants, rich in culture, tradition and history, surrounded by a wonderful sea and with food that's second to none. Sicily is the ideal place to ride, across every season of the year, and I’m sure that, in the future, it will be possible to organize sportive events here too. This synergy develops tourism and becomes an accelerator for the economy of the territory hosting the events." Elisabetta Ripa, Open Fiber CEO, the race’s main sponsor, said: "Open Fiber is proud to support the return of such an important sporting event. Our mission is to connect, through a network of fibre optic telecommunication cables, the whole of Italy: from the main cities to the most isolated hamlets, a little like a bike race that goes through the territory and unifies it thanks to the values of sport." Il Giro di Sicilia is one of the oldest Italian stage races: the first edition was raced in 1907, two years before the birth of the Giro d’Italia. From 1907 to 1977 Il Giro di Sicilia was held 18 times, all stage races, and these editions were all won by Italian riders. The first winner was Carlo Galetti, who went on to win the Giro d’Italia twice: in 1910 and 1911 (and in 1912 as part of Team Atala, the first and only time the Giro was awarded to a team). The last winner was a 19-year-old Giuseppe Saronni in 1977, who also went on to win the Giro d’Italia overall twice: in 1979 and 1983. 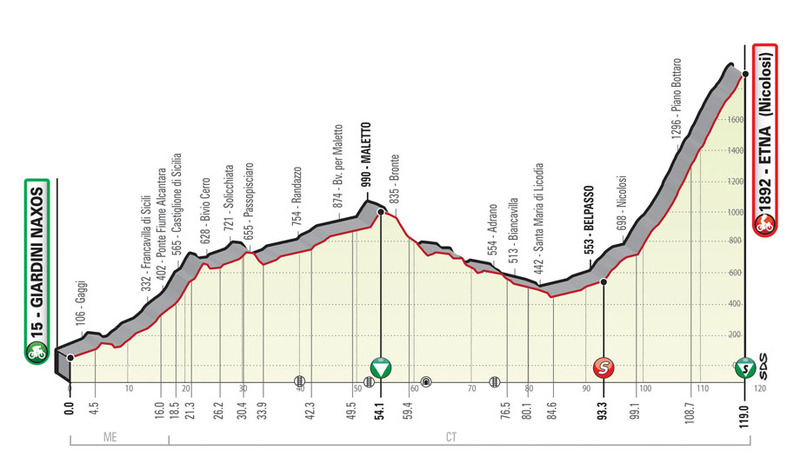 An almost entirely flat stage, with the exception of the Colle San Rizzo climb just after Messina. The first part runs along the coast with a few non-challenging climbs and descents, punctuated by the more testing climb up to Taormina. The KOM is on the Colle San Rizzo after Messina, followed by flat roads towards the final 10km, which is raced entirely on the Milazzo peninsula. The stage is divided into three separate parts: flat, mountain, then flat again. The first runs along the coast with no particularly difficult sections. The second section is in the island's internal area with mountains until reaching Geraci Siculo (KOM) followed by Petralia Soprana. A descent towards the coast follows, where the stage continues flat, right until the finish in Palermo. This stage runs in the internal part of Sicily with a mixed finale of climbs and descents. It’s a challenging stage with continuous up and downs and an uninterrupted series of curves for the first 120km. The roads have variable widths, with some sections in towns and villages that are cobbled. Once in Vittoria, where the stage flattens for a short distance, the course runs through the towns of Vittoria and Comiso to then face the climb of Serra di Burgio that will lead, after a fast descent, straight to Ragusa for the finale in the city centre. The final stage is characterized by two distinct sections: the first goes around Mount Etna reaching the commune of Maletto at 1,000m, site of the KOM. There starts a long descent, always around the volcano, until the onset of the final climb that starts in Nicolosi. Once near the race finale, the course goes along several narrow town roads. The Dauphiné is often a race for rivals to come together before giving way to unrelenting contests over several terrains, as a foretaste of what is to come on the roads of the Tour de France. This year, the scene has mainly been set for the riders to embark on new challenges. To begin with, for what is traditionally a week in the Alps, the organizers have thrown a curve-ball by placing the start in the Cantal for the first time. On the very first stage, the riders will have to tackle genuine climbs that will set an eventful tone for the week: after climbing the Puy Mary, the stage victory will be contested on a dynamic and especially bumpy circuit. Not content with this initial shake-up, the road to Craponne-sur-Arzon (on Stage 2) will show that a roller-coaster ride is also possible on the slopes of the Auvergne region. The following day, the sprinters should feel at ease on the long 5-kilometer straight line just before the finish in Riom, as well as in Voiron for the fifth day of racing. In the meantime, the main favorites will have begun to try and edge clear of each other on the time-trial in Roanne, which, for the occasion, could almost be twinned with Pau: apart from the indoor start from the Scarabée hall, the distance and terrain will be very close to what the riders can expect on 19th July in the Béarn area on Le Tour. 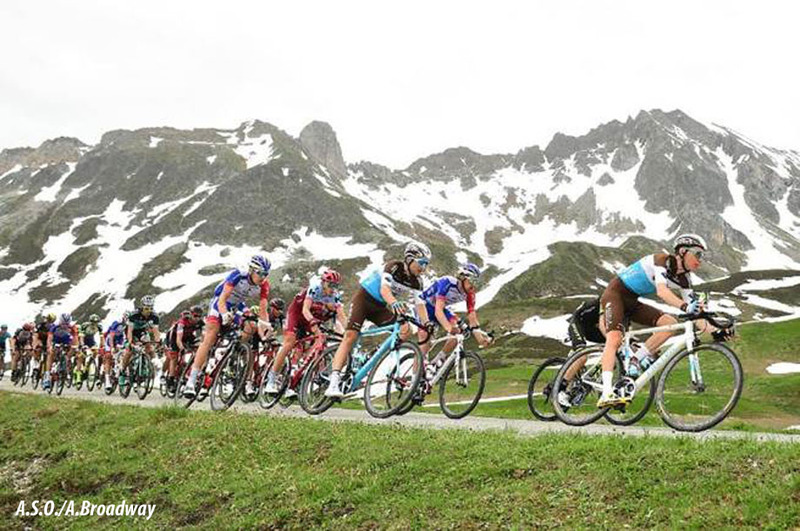 Yet, it is indeed in the mountains that the main threads of the plot will come together over the last three days, although the Critérium du Dauphiné will be cutting loose from the most visited and renowned climbs. For example, on the longest stage of the week (on Friday, 228 km) the ascent up the Col de Beaune may hold a surprise in store for some riders, as might the tricky descent down into Saint-Michel-de-Maurienne. The distance to be covered on the two remaining stages put together just tops the length of Stage 6, but both will stand out thanks to their dynamic and unique character. For example, none of the participants will have tackled the slopes of Prapoutel-Les-Sept-Laux, climbed by the riders on the Tour de France in 1980, which will be the backdrop to the finish of the most demanding stage for the riders (with 4,150 m of gradient to climb over a distance of 133 km). The accumulation of kilometres raced and the profile of Sunday’s stage could give rise to a dramatic shift in the race hierarchy, on a route where Dauphiné regulars will reacquaint themselves with previously visited places, but not in the traditional order, such as the climb at Les Gets, the Col du Corbier, the Châtel ski resort and the Swiss resort of Champéry. This is where the race began in 2013 and this year it will witness the final verdict. 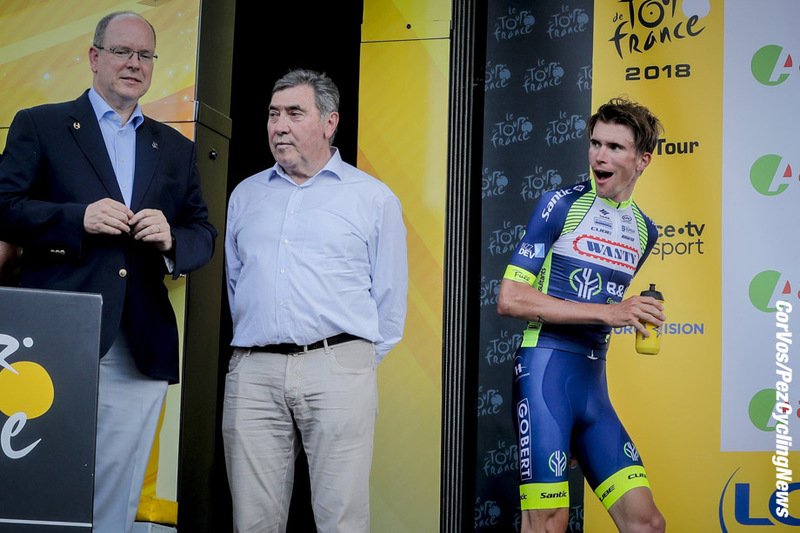 Ø The details of the route for the 71st edition of the Critérium du Dauphiné were revealed this morning in Lyon at the headquarters of the Auvergne-Rhône-Alpes regional council, in the presence of its President Laurent Wauquiez and Christian Prudhomme, Director of the Tour de France. Ø On 9th June, the race will start in the French Department of Cantal for the very first time and will follow a 1,200-kilometer long route full of new roads and places, leading the pack to the Swiss ski resort of Champéry on 16th June. Ø Less than a month before the start of the Tour de France, favorites such as Chris Froome, Romain Bardet, Thibaut Pinot, Richie Porte, Jakob Fuglsang, Daniel Martin, Adam Yates and Julian Alaphilippe will ride on somewhat unaccustomed mountain roads to test themselves against each other and maybe try and spring a surprise. 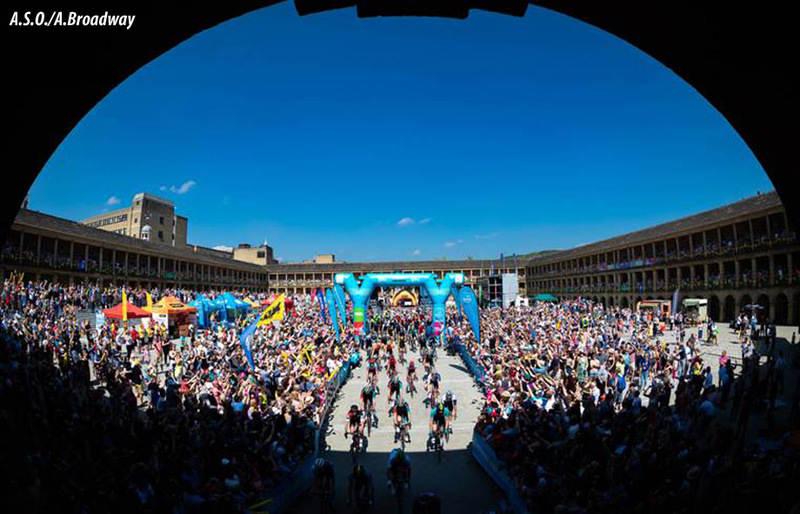 Ø Nineteen cycling teams have been selected to take part to the 5th edition of the Tour de Yorkshire which will be held this coming 2-5 May. Ø Nineteen cycling teams have been selected to take part to the ASDA Tour de Yorkshire Women’s Race which will be held this coming 3-4 May. Made by Castelli with SITIP fabrics. Maglia Bianca signed Candido Cannavò, commemorating the 10th anniversary of his death. New partnership with Intimissimi Uomo. Unveiled today are the jerseys of the 102nd Giro d’Italia, organized by RCS Sport/La Gazzetta dello Sport and held from 11 May to 2 June. 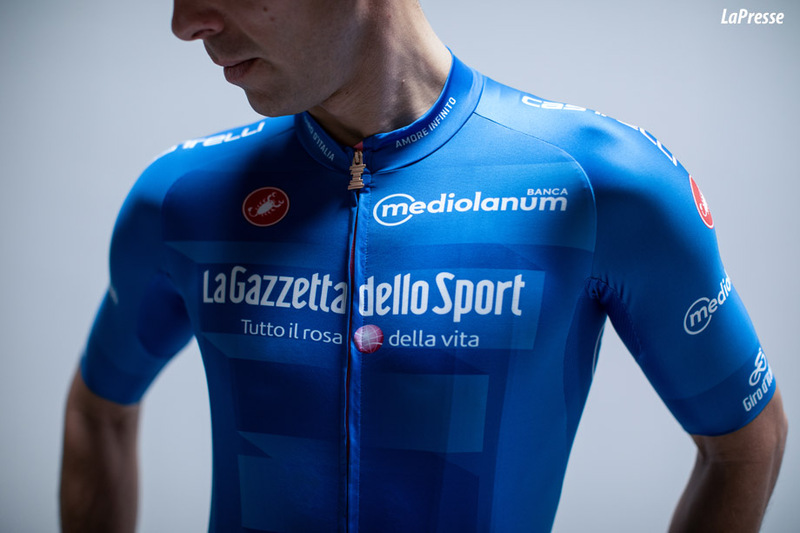 The jerseys are produced by Manifatture Valcismon - with the famous scorpion brand, Castelli, designer of the jerseys - all made with special SITIP fabrics. The 2019 race jerseys have been designed to be light and aerodynamic, with seams that follow the shape of the athlete's body and guarantee a perfect fit. There will be four different SITIP fabrics used, positioned in different parts of the body to maximize aerodynamics and breathability at the correct points. The sleeves are cut with a laser to optimize comfort and aerodynamics. 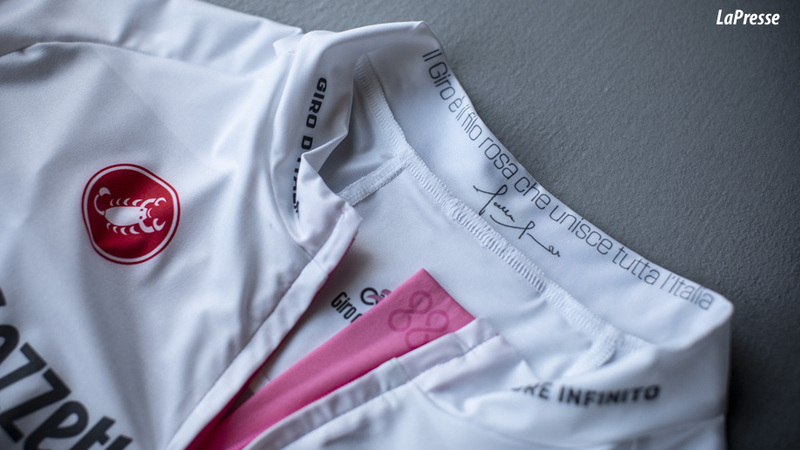 The jerseys have also a zip with a golden puller that fades to pink, a tribute to the Infinite Trophy, which this year also features a design across the riders' chests. To commemorate the 10th anniversary of the disappearance of the unforgettable La Gazzetta dello Sport Editor in Chief, Candido Cannavò, the Giro d'Italia is paying a special tribute by printing his signature and his phrase "Il Giro è il filo rosa che unisce tutta l'Italia" [The Giro is the pink thread that unites the entire Italy] on the collar of the Maglia Bianca of Best Young Rider, the jersey which has been dedicated to Cannavò since the 2009 edition. 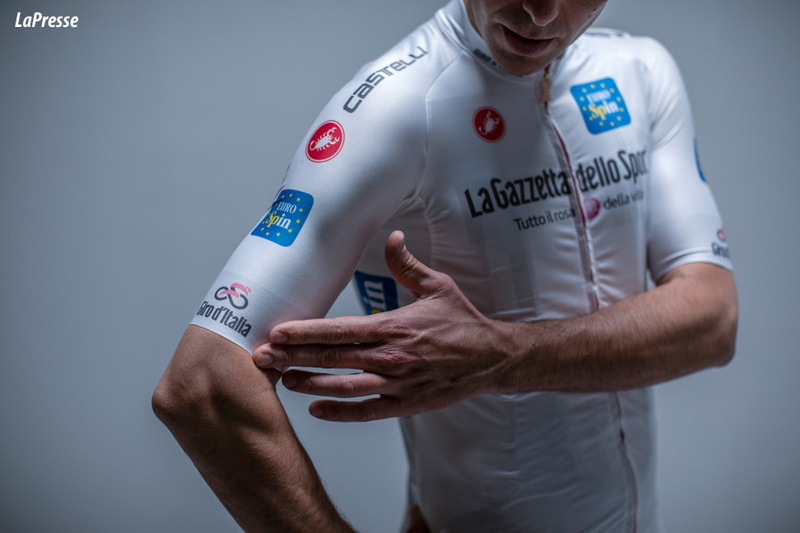 Just for the 102nd Giro, Castelli has also created two versions of the official shirts, namely the Giro102 Race version – an exact replica of the one worn by the pros – and the Giro102 Squadra version, a jersey with an optimal fit, that's quick drying and with luxurious comfort. 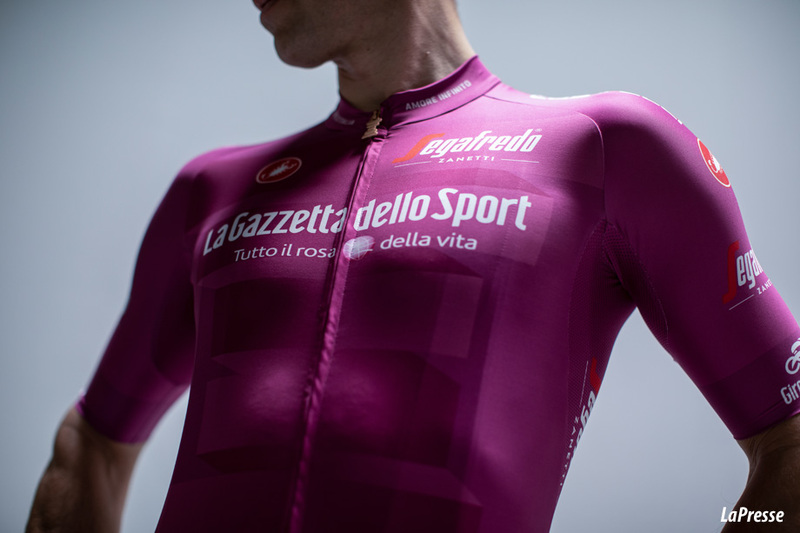 Both are available in the Official Jersey version and in the following options, celebrating stages and special occasions: Bologna Jersey, Sangiovese Jersey, Novi Ligure Jersey, Gavia-Mortirolo Jersey, Feltre-Croce d'Aune Jersey and Verona Jersey. 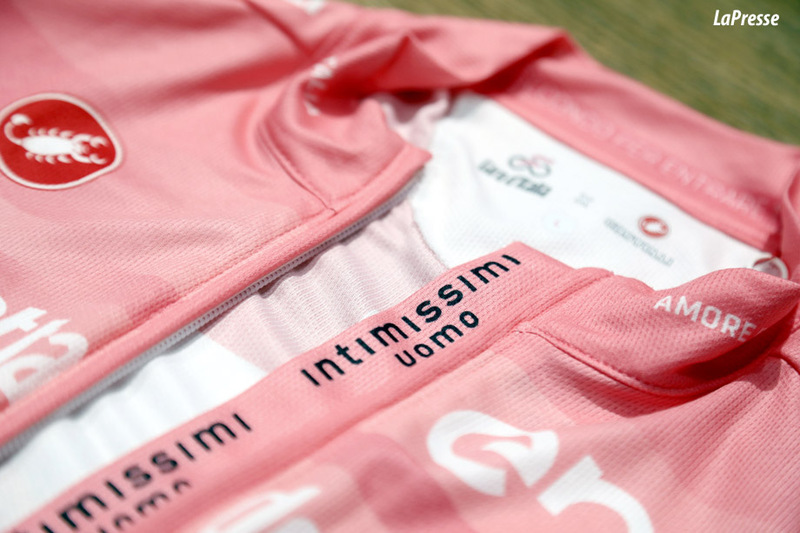 A new collaboration is announced today between the Giro d'Italia and Intimissimi Uomo, an exclusive Italian brand of men's underwear. 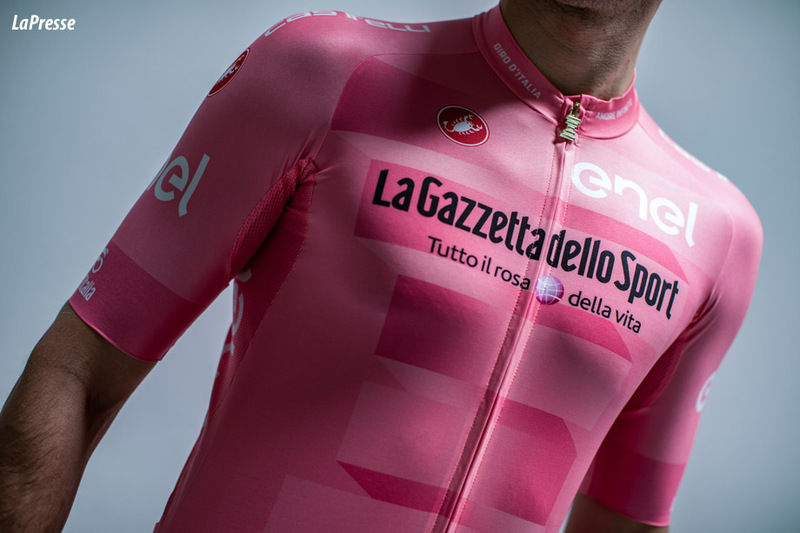 For the first time in the history of the Giro, the Pink Jerseys used in the race and on the podium will feature a sponsor's design internally. Concealed inside the zipped shirt, and perfectly visible only once unfastened, the Intimissimi Uomo logo will always be in contact with the sportsman's skin, reflecting the brand's slogan: "Experience the emotion on your skin". 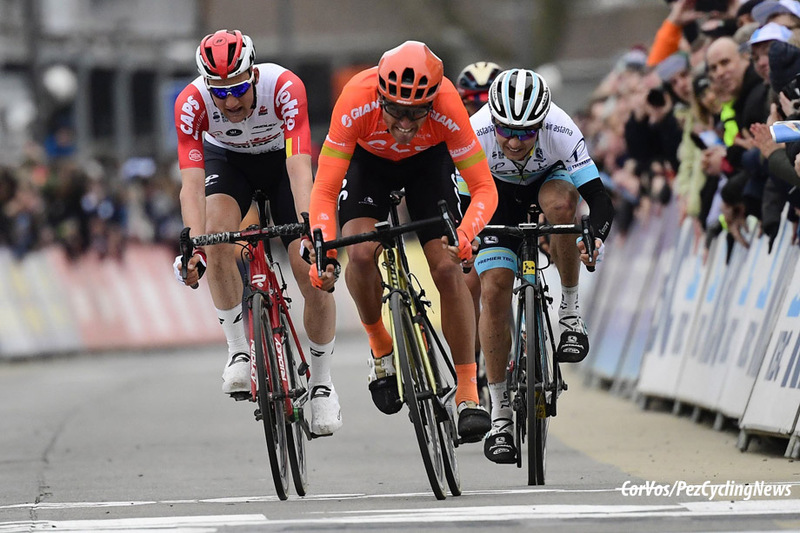 The Grand Prix de Denain (1.HC, 24/03) was marked by a heavy crash of Yoann Offredo at kilometer 155, on the cobblestones of the Route Marquette. He crashed with a teammate and fell straight on his thorax and lost consciousness for some minutes. The Emergency Unit was quite worrying, speaking about a total tetraplegia. The 32 year old Frenchman was then taken by helicopter to CHRU Lille Salengro. In the end, the medical exam did not reveal any fracture nor lesion. Offredo will stay at the University Hospital of Lille for observation this Monday evening. Jelle Van Nieuwenhuyze (Team doctor): "The CT and MRI scan in Lille did not reveal any anomaly. The shock to the spinal cord caused temporary tetraplegia and mutism that gradually reduce since the crash. Yoann is getting better and better." Yoann Offredo: "I want to thank everyone for the support that helps me through these difficult times." Leading back to the first edition of Paris-Roubaix, the most decorated cyclists in the world have been dreaming of attacking the historic cobblestone sections and being the first to enter the legendary Roubaix velodrome. 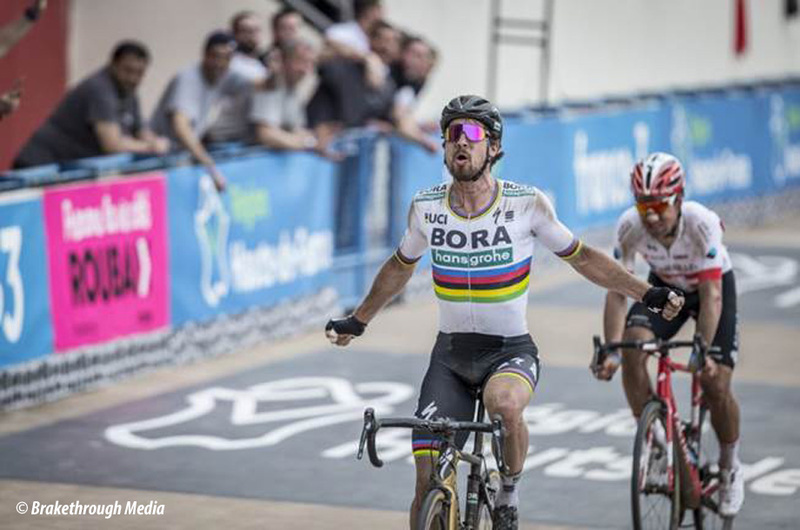 Big stars like Tom Boonen, Fabian Cancellara, Niki Terpstra, and Peter Sagan saw their dreams come true by crossing the finish and holding their well-deserved cobblestone trophy in the air. They all had one thing in common: They all won their races aboard their Specialized Roubaix. No less than 6 times, the Specialized Roubaix bike piloted these riders to a win. It’s those achievements that undoubtedly make the Specialized Roubaix the bike for Paris-Roubaix. We are proud to announce that the Specialized Roubaix is the official bike of Paris-Roubaix. The long-lasting history between Paris-Roubaix and Specialized is now formalized in a partnership that brings the two brands together until 2021. "Paris-Roubaix is an icon in the world of cycling. It’s the ultimate testing ground for the world’s best cyclists and we’ve been dedicated as technical partners to develop the smoothest and fastest equipment for the race. We’re excited to partner with the ASO to celebrate this monument with athletes all around the world." Says Mark Cote, CMO of Specialized. Thierry Gouvenou, Director of Paris-Roubaix "We are delighted to welcome aboard to Paris-Roubaix a brand that has such a great history with the race. 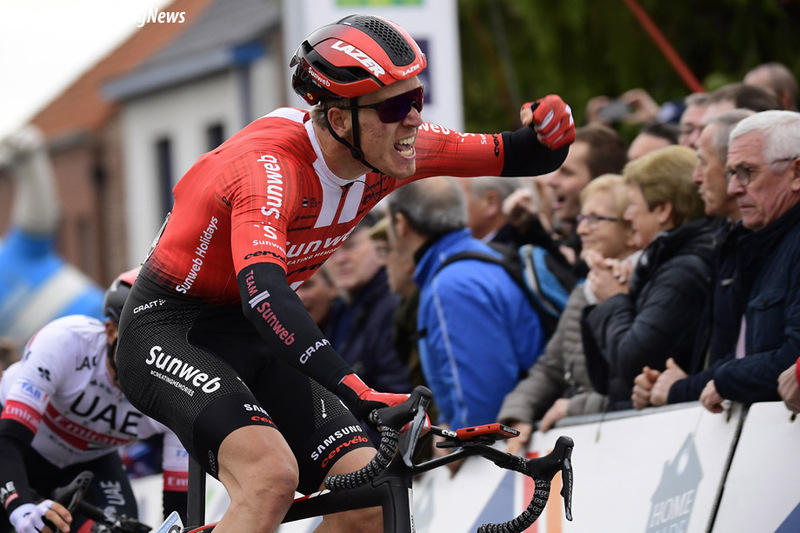 Specialized is one of the leading cycling brands in the world and we are proud to present them as one of the partners for Paris-Roubaix for the next three years."